It has been a full spring and summer for our family. In April, we drove to Minnesota for the wedding of Kreig’s cousin, Dawn. Kaitlyn was honored to be the flower girl. It was also a great chance for a mini family reunion with Kreig’s family: parents, brothers/sister-in-laws, and Grandpa Kermit - who at 99 still enjoys interacting with the kids and giving them rides on his walker. Kaitlyn has finished her first year of preschool and we have seen her mature into an inquisitive little girl who loves to talk, dance, sing and pretend play. 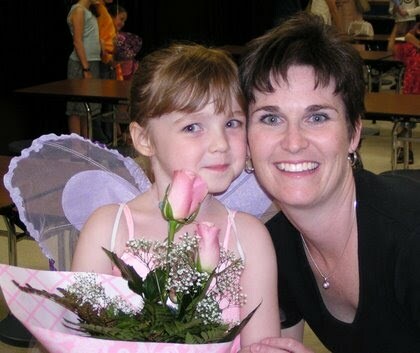 It was especially fun to watch her first ballet recital as she twirled on stage in a butterfly costume. 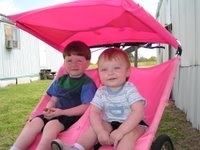 Kaleb adds a lot of smiles to our lives as he tries to communicate and keep up with his sister. He especially loves wrestling, playing in the dirt, and making animal noises. He’s all boy! In June, Kreig traveled to Norway and England for Mercy Ships business. While in Norway, Kreig spent time at the Mercy Ships office and attended a conference on maritime satellite communications. In England, he worked to finalize information technology plans for the Africa Mercy as it prepares to be deployed into fulltime service in February 2006. His next trip will be to South Africa in September to visit the Anastasis. 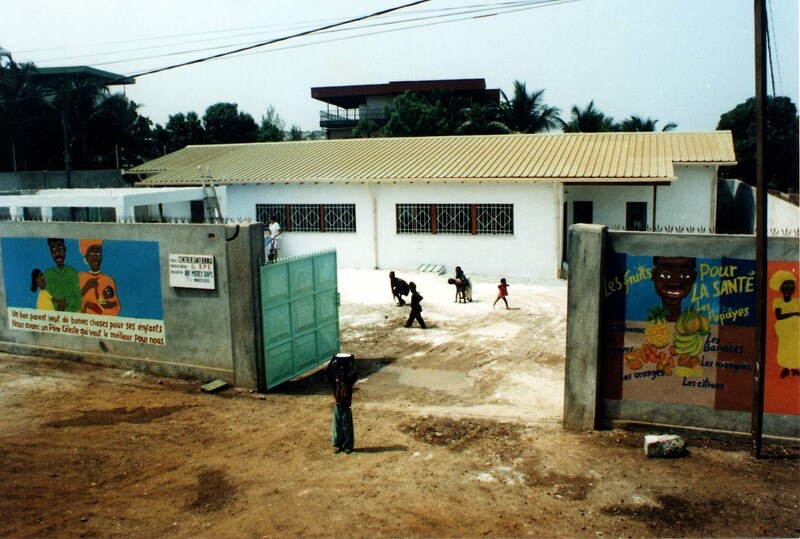 During the 1999 Anastasis visit to Guinea, Kreig was the ship’s Financial Officer and responsible for managing the finances of the health clinic construction. The Dutch government approved a grant to pay for half of the construction cost, provided that Mercy Ships could account for all expenses according to the government’s grant standards. At the conclusion of many hours of extra work for Kreig and his staff, the grant was eventually obtained. Based on the above report, the clinic is still a success six years later. It is encouraging to see the fruits of our labor multiplied and makes the long hours worth the effort – a motivational reminder during long days! Leaving the Anastasis after almost four years was one of the most difficult things we have done. 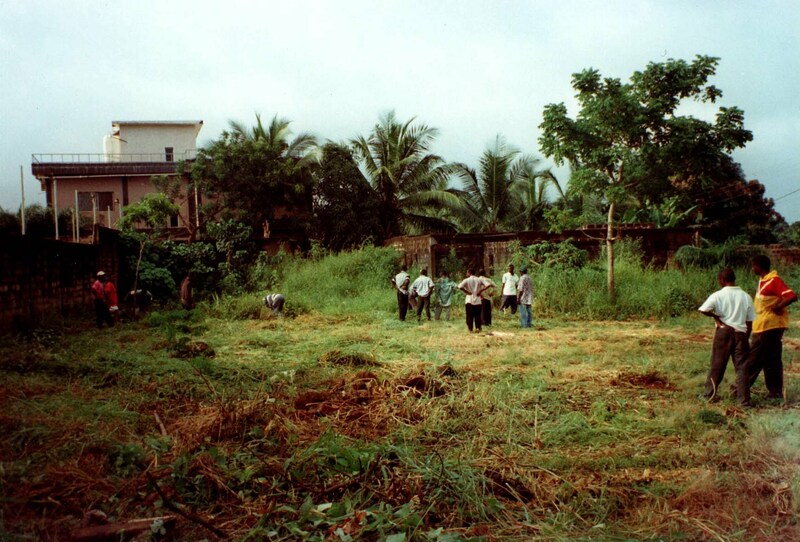 Although our hearts were with the people of West Africa we felt we could best help them by moving to East Texas. Karen especially mourned the loss of her rewarding nursing job and community life, making the transition to motherhood and life in Texas difficult. Now, after four years in Texas, she can honestly say that she’s happy and content in her role as wife, mother and MOPS (Mothers of Pre-Schoolers) Coordinator. In spite of living in a small town in East Texas she shares with all moms a hectic, fast-paced life that often leaves her wondering where the time has gone. She has assumed the leadership of her MOPS group which involves planning, leading activities, and encouraging moms from all walks of life. It is a diverse group of 30+ moms and their children. MOPS has been a place for Karen to make life long friends and has allowed her to use her leadership and public speaking skills to encourage others in the same season of life. This last year, Karen has had the opportunity to mentor and encourage two single moms in difficult situations. One of these moms is in the middle of a custody battle for her children and barely survives on a small income. Her home is a run-down trailer shared with a verbally abusive father, stepmother and four-year-old son, Terry, who suffers from asthma. She has looked to Karen for help with childcare, counseling, prayer, affordable housing options, and better healthcare obtained through Kaitlyn’s pediatrician. Being able to impact and encourage women in our small town has helped confirm for Karen that she’s in the right place at the right time. When our life feels busy and out of control, which it often does, we are reminded of our many blessings. The very things that we often take for granted are the things these moms long to have . . . a loving spouse, supportive friends and family, a safe home, food on the table, season appropriate clothes and a reliable car. Thank you to all who have loved and supported us over the last eight years. We count each of you as a blessing and know that without your partnership we would be unable to continue with Mercy Ships. Thank you to all who contributed towards our new van! We are grateful for this reliable and safe vehicle and overwhelmed by the many gifts that enabled us to buy it outright. Through many of you, God has been faithful to supply all of our needs!